8 fitness benefits of hitting the trail—from a leaner, stronger physique to bulletproofing your body. YOU DON’T NEED to charge hundreds of miles of trails like Dean Karnazes or Scott Jurek to reap the body benefits of running off-road. Hitting the trail—even a smooth gravel, dirt or woodchip path—works your muscles, tendons and ligaments (and more) differently than running on the road or treadmill. And running trails that head uphill or down…you’re not only building your cardiovascular engine, but strengthening quads, glutes, calves, and core, too. You’re also improving your balance and proprioception (your body’s ability to know where it is in space) when trail running—a benefit that carries over into all the other sports and activities you do. As with any training program, easing into trail running is important. If you’re just starting out, seek a smooth, mellow trail and work your way up to more “technical” (aka: tricky) terrain. Your muscles, joints and ligaments will gradually and safely become stronger than ever. The very nature of trails—soft, forgiving surfaces, sometimes riddled with obstacles like roots or rocks—requires you to engage your core muscles for stability. Each step you take works to tighten and strengthen your core. Running on trails, downhill in particular, builds strength and definition in your quadriceps. Your quads act as the brakes that keep you from spiraling downhill too fast. Running uphill engages your glute muscles for power. And negotiating singletrack and trail obstacles recruits your glutes for lateral stability. Hilly terrain, and/or running on technical trails, works your calves—they’re what propel you. And every step that requires stability on trail (so, basically, every step), starts with muscles in your feet and heads straight to your lower leg. Due to the constant need to stabilize on a trail—adjusting to softer surfaces, finding your way around obstacles—your connective tissue gets strengthened with each step. That means the ligaments and tendons around ankle, knee, and hip joints become increasingly strong—and less prone to injury—when you run trails. The softer surface of trails, from grass and beach sand to even, hard-packed dirt, is more forgiving than pavement…it compresses with each step. The “give” of the trail eases impact on your joints, and also makes you stronger. Because of all that natural give, your engine has to work harder on trails. Trail running’s constant variety increases your cardiovascular endurance differently than when running a steady road or treadmill. 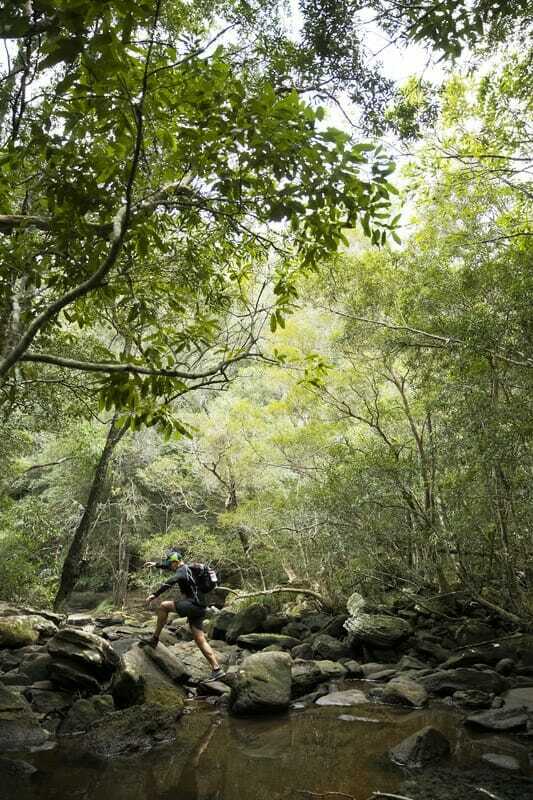 Research shows that running on trails can burn 10% more calories than running on roads. 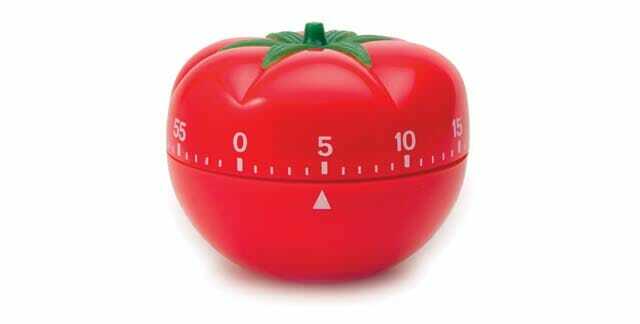 That, combined with the previous seven benefits, makes for a stronger, leaner, healthier you. SO WHICH EVENT SHOULD YOU DO? 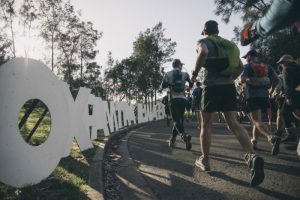 Oxfam Trailwalker is Australia’s ultimate team challenge event. 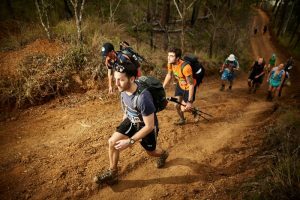 You and three mates will journey through 100km of bush trail within 48 hours. All states also offer alternate distances – 50km or 55km within 24 hours. It’s not a relay. Your team has to start together, stick together and finish together — it’s tough, but with the right training and attitude you’ll be amazed at what you can achieve. It is an inspiring and challenging event that changes lives, and every step you take helps raise vital funds to support people living in poverty. You’ll be part of a global phenomenon where ordinary people achieve something extraordinary and make a lasting difference by supporting Oxfam’s work around the world. The feeling when you cross the finish line will be something you’ll never forget. still not convinced? Then click and read this. 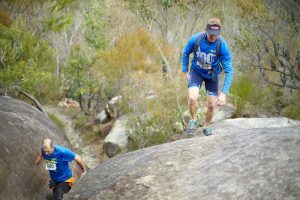 Head to https://trailwalker.oxfam.org.au/about/ for more info.